and plans to sell it at his inaugural dinner and ball on Jan. 8. 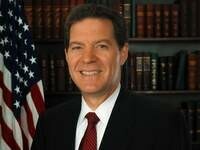 Brownback liked the brew but noted he’s a fan of wheat beer. no matter what his party.